I first saw Chinelo when she was a contestant on the Great British Sewing Bee, as most people probably did. I was impressed with her freehand cutting techniques and her story. And I was thrilled when I heard that she was putting a book out. However, it's taken me all this time to actually get my hands on the book and explore it! 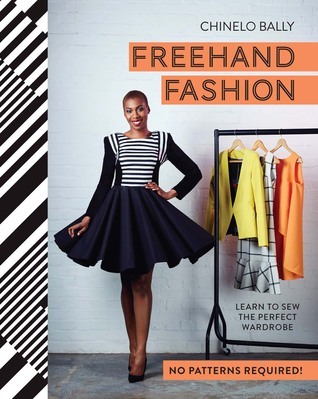 It's based on her method of sewing without paper patterns, a Nigerian technique she learned from her family. Essentially, you create blocks according to your own measurements, and then use those to mark a pattern right onto the fabric. It takes practice to switch your mind over to this process.